Pool Sessions - Pool Sessions are open to all members throughout the year. River Trips and General Paddling - throughout the year we offer paddle touring opportunities on the River Deben and other rivers around the country. Family Paddling & Courses - Over the summer we offer evening activities for Families and Teenagers. Adult Beginners & Improvers Courses - On main club nights throughout the summer training is offered. This includes Adult Beginners courses to allow new members to train up and join the club, and improvers courses to assist members with their development. Coach Training - The club does not directly offer Coach Training, but Adrian does run courses at the Deben Watersports Centre which the Club Supports. Whitewater Opportunities - Many of the coaches at the club are also Whitewater paddlers. As our members develop, we provide opportunities for paddlers to experience more challenging environments as part of well managed groups. 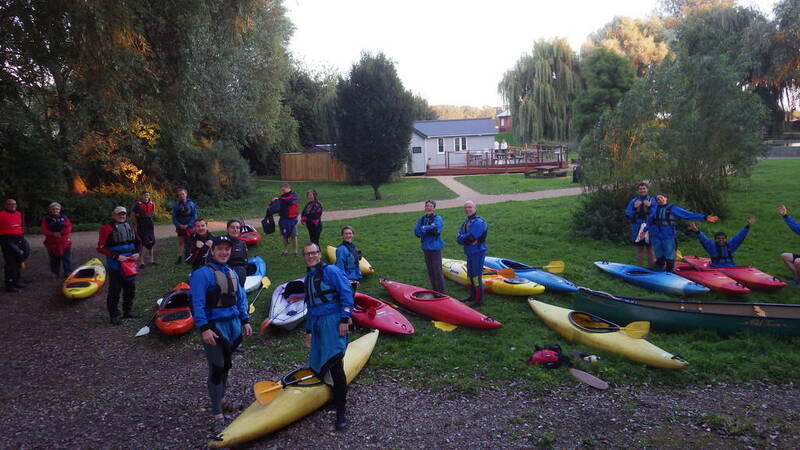 Land based paddle fitness and Skills training - This is a new activity for the Club. We now have access to two Ergo Kayak Paddle machines and intend to start offering sessions to allow folk to improve their paddling skills and fitness from within the centre buildings - Details to follow.